Was planning to have dinner at Amirah's neighbor stall, but was told it was already fully booked for that night. In order not to stay hungry for too long, we decided to give Amirah a try. 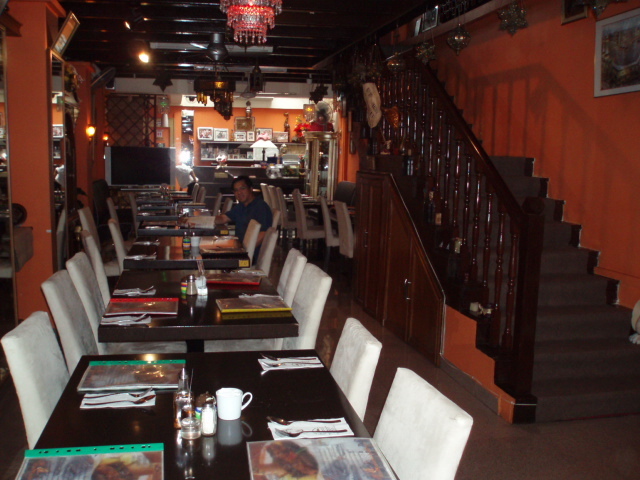 The place was already packed with customers when we arrived as it was time to break fast. We quickly ordered our food and thought the food would be served quickly. Well, our drinks did come almost immediately after our orders. But the rest took too long to come. We ordered Hummus and Moutabel which are served with baskets of pita bread. The dishes were served cold but it took so long! The taste isn't as good as those I'd tasted few nights before at its neighbor's stall. But still not bad. The Moutabel lacked the texture that I wanted, perhaps their onion/garlic was over chopped. The pita bread served was not very good too. Some was either too tough or too soft. Also ordered the mixed grill main course as seen in the photo. The meat were all rather tough to chew, was rather blunt and lacks in flavor. This only passable imo. Overall the food is still considered as acceptable. Will probably not return for a next round due to the long waiting time and not so flavorful dishes. Met with friends for buffet lunch at Amirah's Grill at Bussorah Street, its first restaurant. The daily lunch buffet costs S$9.90 per person. 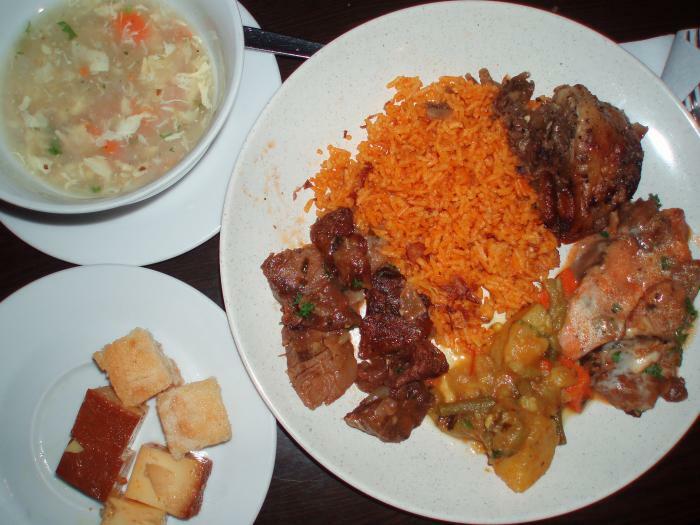 The buffet choices were spiced chicken, fish cooked in gravy (great), beef (tender and delicious), 2 soups (yummy), fragrant rice, steamed white rice, salad, fruits (not sweet), 2 sweet dessert (really teeth-dropping sweet!). I prefer its ala carte menu. The prices have increased. Love its Lebanese Hummus and warm pita bread! Must try, ok! 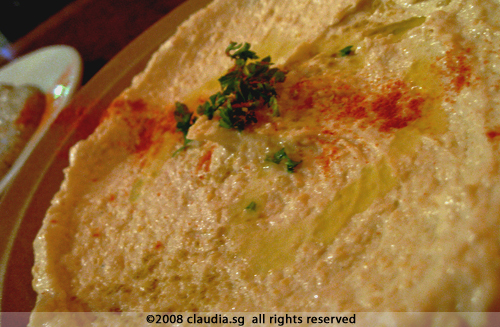 Love the Lebanese Hummus and Lebanese Moutabel. Goes fantastically well with the Pita bread. Can just live with this! Of course apart from these appetizers, the main course set meal is also value for money at $20. Recommendation : The set meal! It comes with ALL the following:- 1 soup, Pita and Garlic Bread, Lebanese Hummus and Moutabel (dips), your choice of any (1) one main course 1 single scoope ice cream OR cream caramel. The Kebabs are value for money. They have chicken, beef and Kofta (lamb) and the mixed (combination of the 3). Go for the latter if you want variety. 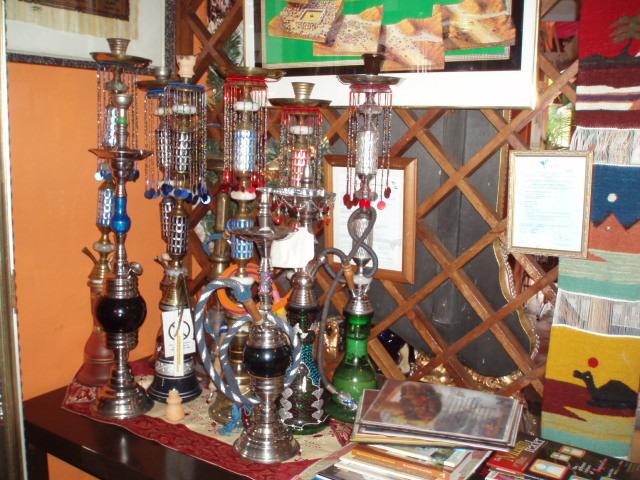 Location : The exterior does not look that promising, but after stepping into the place, the atmosphere resembles like somewhere in Egypt or the middle east. There are also private function room on the top level, but these have to be pre-booked at an extra cost. Perfect for a private function with a few friends. 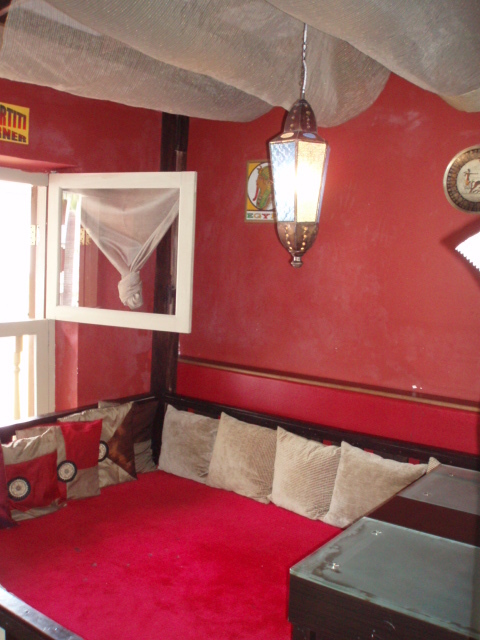 Decor is varied with the "harem" look and seating. But do not expect any belly dancers. Location : Shophouses along Pahang Street. Staff : Friendly and attentive.